Direct Support Professionals (DSP)s provide daily care, services and supports to people with intellectual and developmentally disabilities 24 hours a day, 7 days a week. Caring for people with complex needs is a rewarding yet challenging job, which requires ongoing training and a high-level of responsibility and skill. These are not minimum wage jobs. Nonprofit provider agencies funded by OPWDD employ nearly 100,000 DSPs, and deliver 85 percent of the needed services to approximately 130,000 people with intellectual and developmental disabilities in New York State. Almost all funding for these agencies comes from the government at rates set by the government. Statewide, reimbursement for DSP salaries has increased just 1.4 percent per year over the last eight years. Despite the high demands of the job, DSPs currently earn on average between $10 and $13 per hour. We are losing our DSPs to higher-paying entry-level job sectors, which continue to increase their hourly wages. 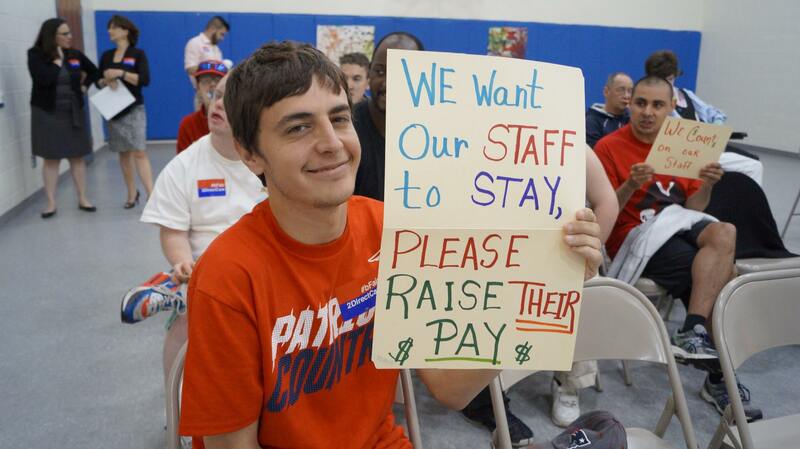 We will continue to advocate with our #bFair2DirectCare coalition to secure living wages for DSPs.